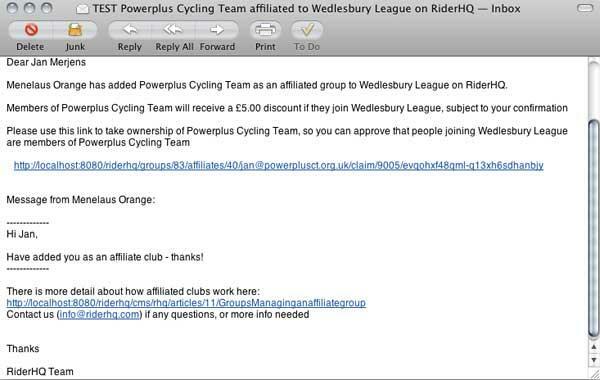 Some leagues (such as Surrey League and SERRL) offer discounts on membership or event entries if your club is affilliated to them. 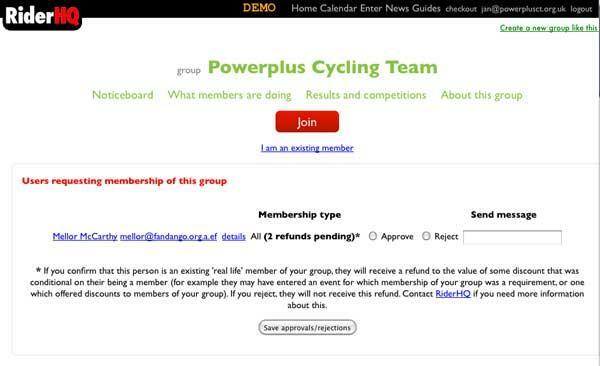 Members of your club who enter league events on RiderHQ can claim the discounted entry fee, subject to you confirming that they are, in fact, members of your club. Once you accept ownership of the group via the link, you can add members directly to the group, or you can decide who is a member and who is not after they enter an event. All you need to do at this point is indicate whether the person is a member of your club or not. If you select 'approve' they will receive an immediate payment to their card of the affiliation discount. If you reject, we will pass on the full amount to the league. You can email the entrant if you're not sure, or contact us for help at any time. Once the system knows they are a member they remain so until their membership expires, and can enter any further events without needing approval.